Examining sites that are familiar to many modern tourists, Valerie Warrior avoids imposing a modern perspective on the topic by using the testimony of the ancient Romans to describe traditional Roman religion. 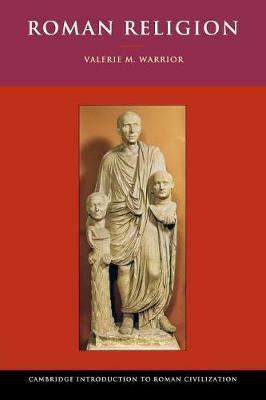 The ancient testimony recreates the social and historical contexts in which Roman religion was practised. It shows, for example, how, when confronted with a foreign cult, official traditional religion accepted the new cult with suitable modifications. Basic difficulties, however, arose with regard to the monotheism of the Jews and Christianity. Carefully integrated with the text are visual representations of divination, prayer, and sacrifice as depicted on monuments, coins, and inscriptions from public buildings and homes throughout the Roman world. Also included are epitaphs and humble votive offerings that illustrate the piety of individuals, and that reveal the prevalence of magic and the occult in the spiritual lives of the ancient Romans.